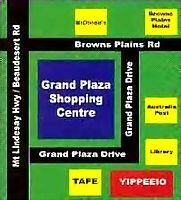 I write to you to confirm that we have ceased trading at our store Yippeeio Pet and Aquarium Centre at 65 Grand Plaza Drive Browns Plains. We owned and operated Yippeeio for over 5 years and we very much enjoyed the relationships we developed with all of our customers. The decision to close our store was not taken lightly, and due to a number of reasons including the renewal of lease requirement, the decision to close was actioned. We thank you very much for your loyalty and support over the years, and we are hopeful you will find other local stores to assist you with goods required, helpful advice or just a friendly chat about Pets, Pet accessories or life in general. Moving forward I will begin to search for the next chapter in my life career wise, and also offer you support at home servicing your Aquarium(s) with cleaning, water testing and trouble-shooting at very competitive rates. Times are completely open to your needs, and once only or regular call cycles can easily be arranged. Please feel free to contact me directly to discuss further on 0409 741739.